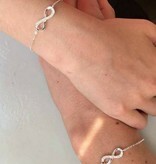 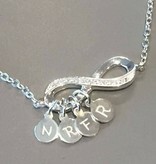 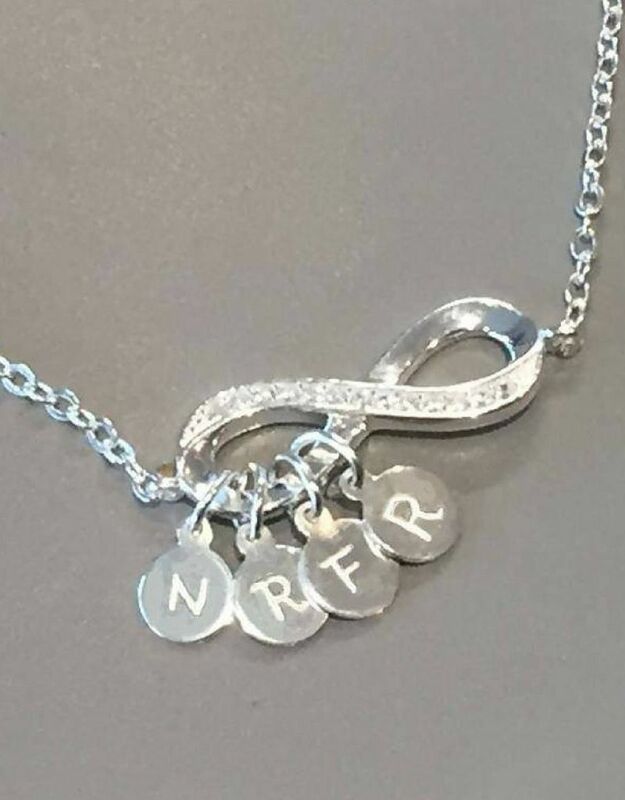 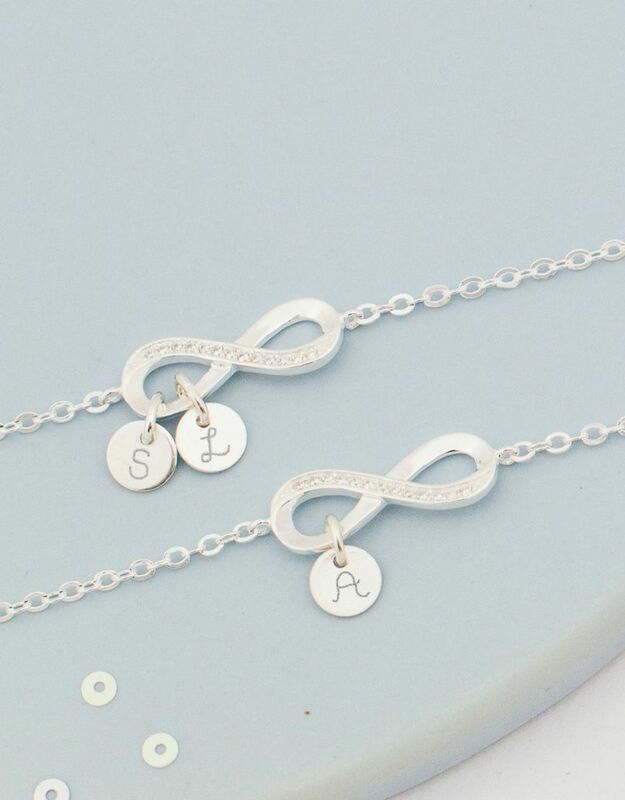 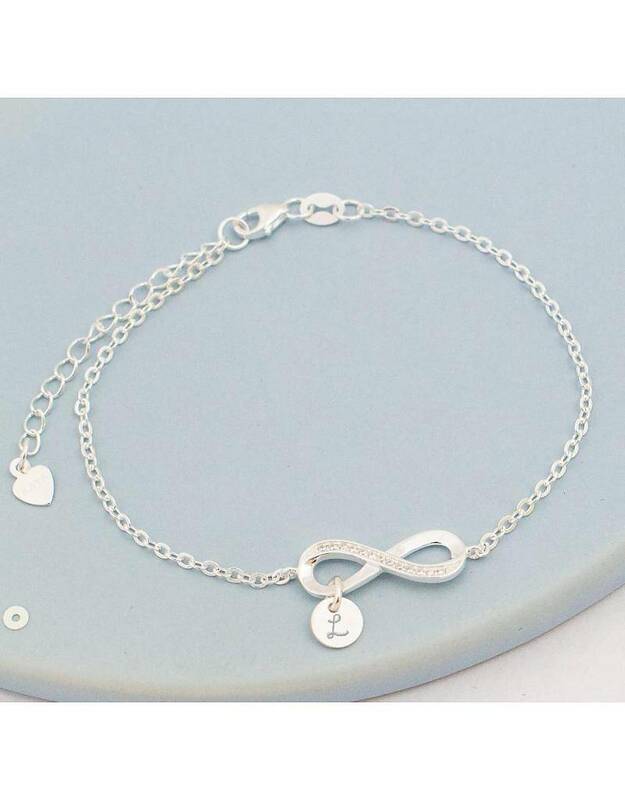 A wonderful personal bracelet with an infinity symbol (filled with zirconia) and engraved initials. 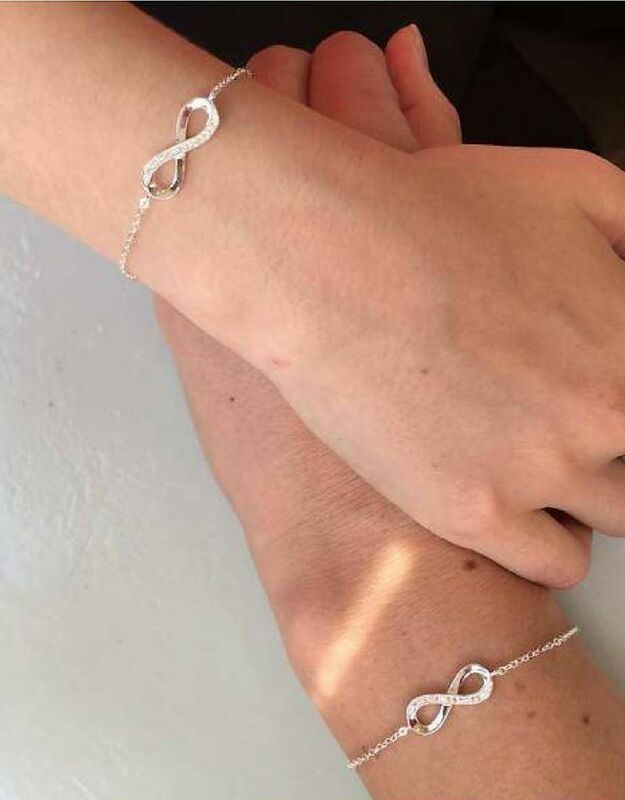 Made of silver, forever beautiful. 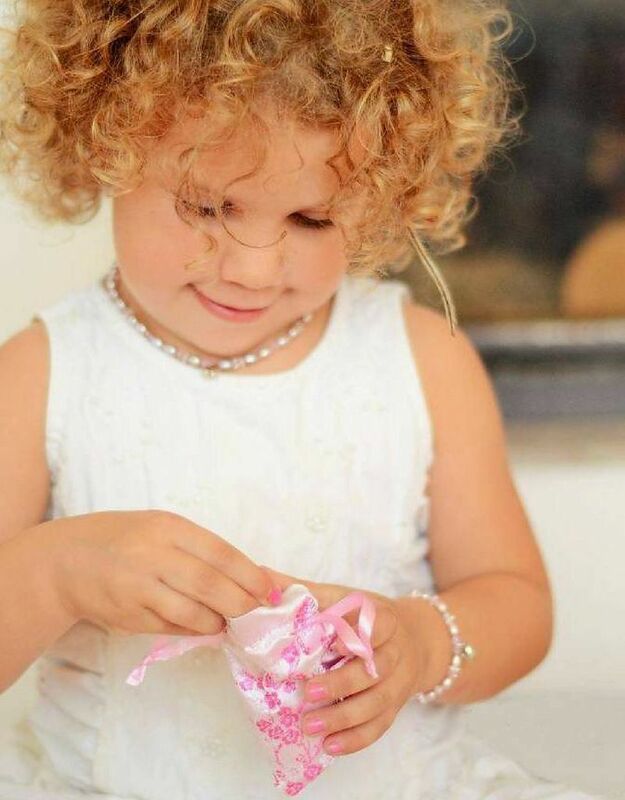 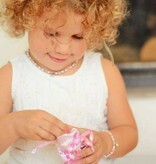 ♥ Available in children's size or ladies size. 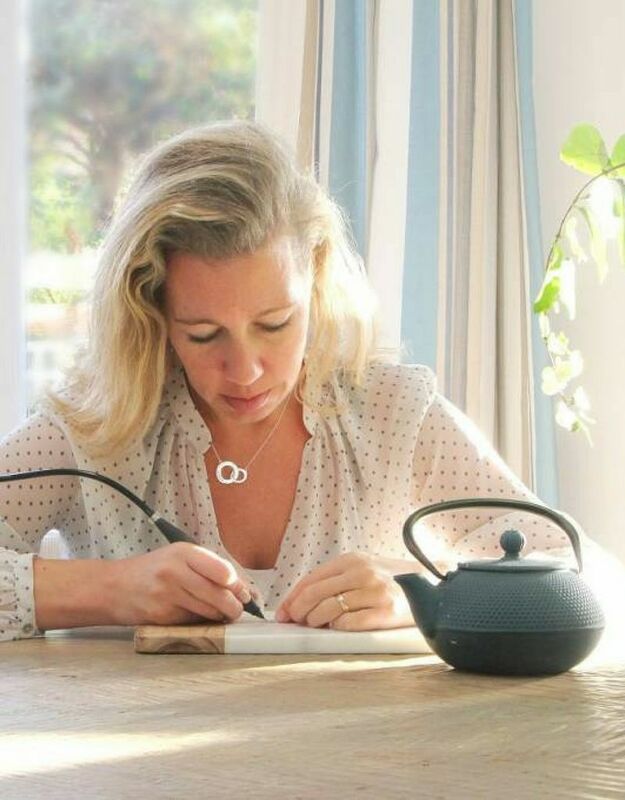 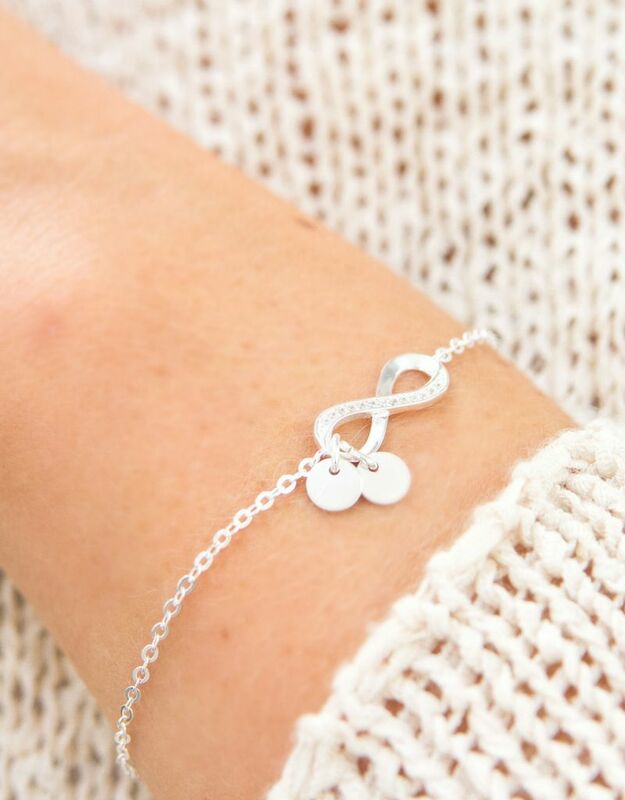 ♥ Handmade in London, luxury quality. 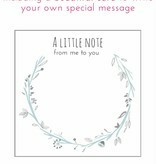 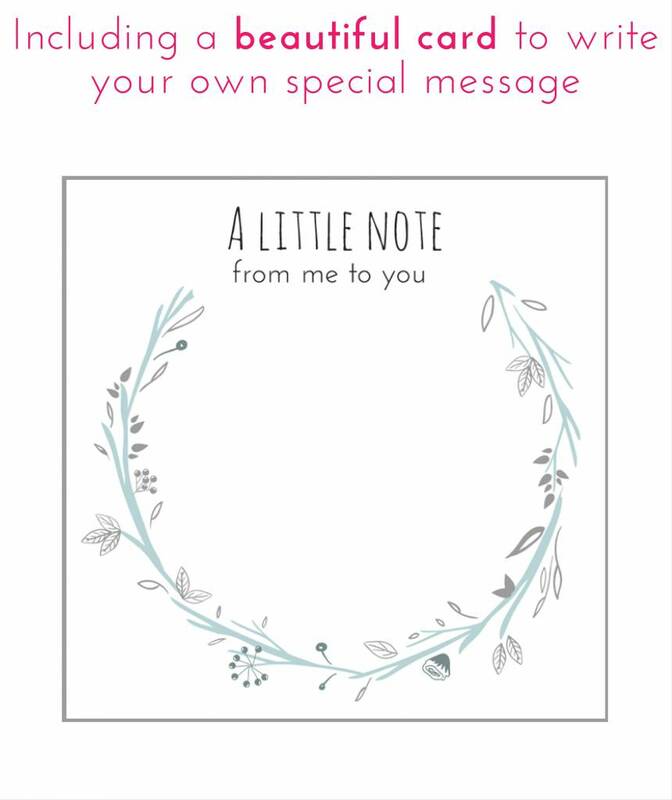 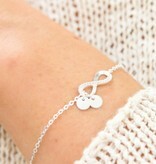 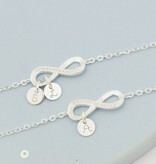 ♥ The infinity symbol is about 2.5 cm wide, graceful, delicate, and yet not too mini. 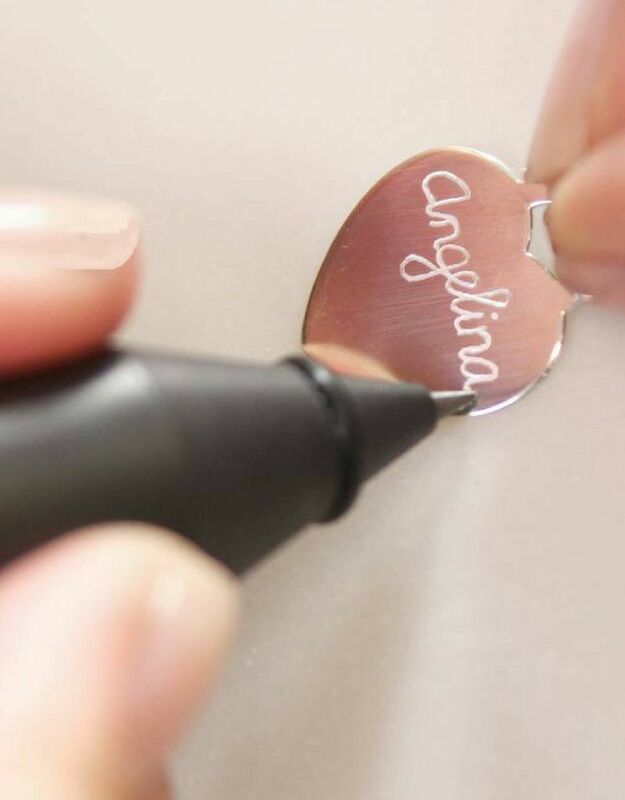 ♥ The disc is approximately 6mm in diameter. 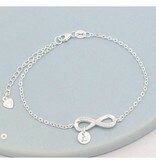 Pretty small and delicate, matching the infinity bracelet. 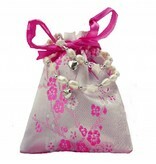 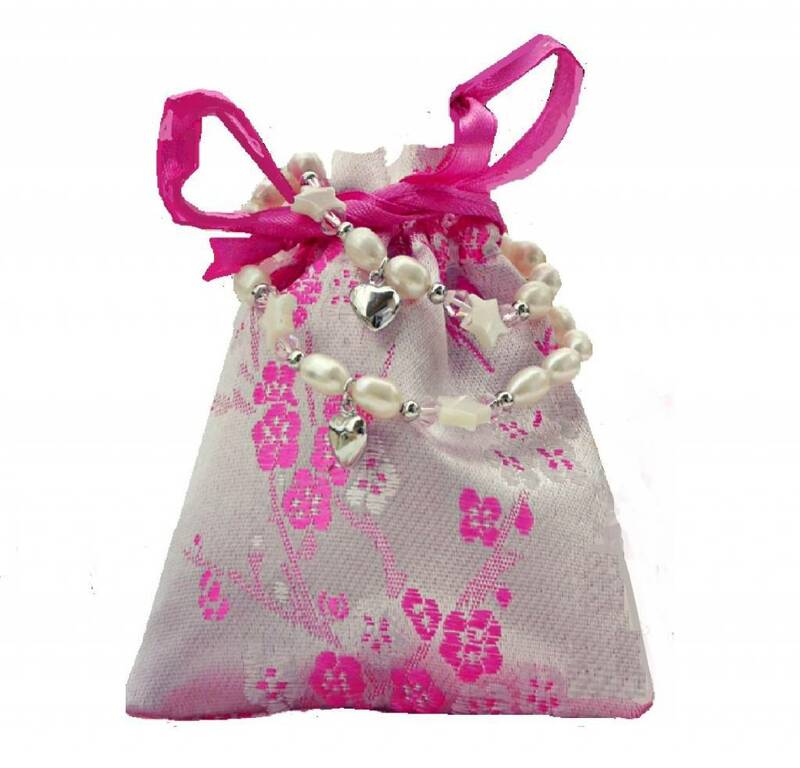 ♥ Luxury wrapped in a pink jewellery pouch, even ready for gift giving!